World War II spurred incredible advancements in all spheres of technology. Aviation was a major beneficiary. Engineers pushed the edge of technology. Piston fighter design reached its pinnacle with classics such as the P51 Mustang. Transport aircraft grew in size, range and capability, and radial engine transports, such as the venerable DC-3/C-47, became icons, remaining in commercial services to this day. Bombers grew in size, range and weapons delivery capability, culminating with the pressurized B29 Super Fortress, which delivered the final blows to end the war. Widespread air operations around the world saw new and significant use of aircraft over vast expanses of water. 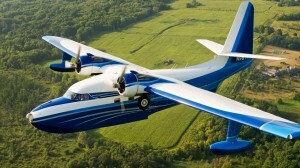 This, along with increased naval activity, spurred the design of one of the most successful and effective amphibian aircraft, the Grumman Albatross. Search and rescue at sea became an essential task, saving downed airman or stranded sailors, our most valuable resources. PBY Catalinas lumbered around the world as the mainstay in search and rescue. However, it became clear that a far more capable aircraft was required and Grumman Aircraft jumped to the task. 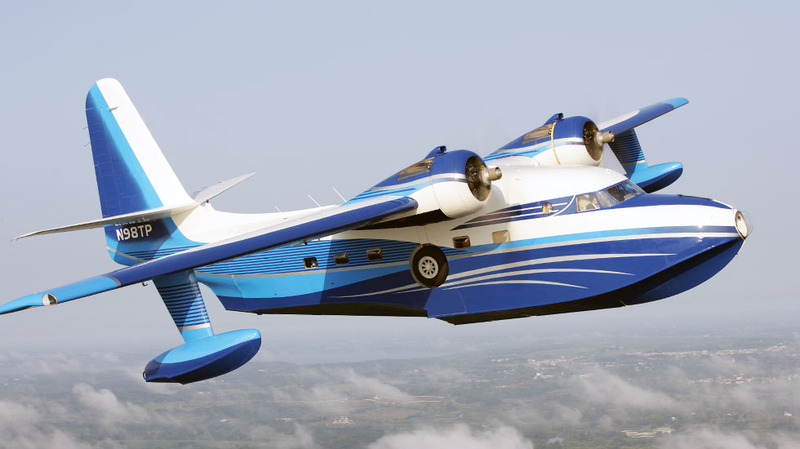 Grumman was no stranger to amphibious aircraft, having produced an array of twin engine water birds, starting with the Grumman Duck in 1933. 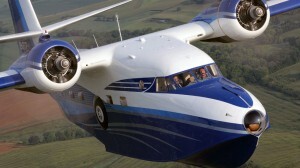 The Grumman Goose followed in 1937 and the Widgion in 1940. 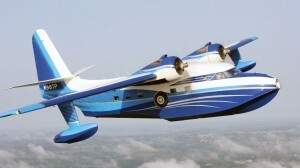 In response to the growing amphibious aircraft capability needs, Grumman presented a new design to the US Navy known as the G-64. This large twin engine radial addressed the need for a faster, longer range amphibious search and rescue aircraft, with large payload and rough open water capability. The US Navy requested two prototypes from Grumman, and the legendary Grumman Albatross was born. On October 24, 1947, the Albatross made its maiden flight. First orders came from the US Air Force, which had taken over worldwide responsibility for search and rescue from the US Navy. Additional orders were received from the US Coast Guard. The Albatross saw extensive military service with the US Air Force through 1971, and with other air forces around the world. N98TP aircraft was purchased as a rare Tri-Phibian (land, water, skis) by the U.S. Air Force in 1953. In the Air Force she served during combat in Korea and Vietnam performing heroically in numerous search and rescue missions for injured and wounded soldiers, sailors and airmen. She has seen the snows of the Northern Polar Regions and the mountains of Interior Antarctica. She has flown missions that are still classified to this day.Now she carries her friends to air shows and far off lakes and rivers – and creates everlasting memories of unmitigated joy.